Are we Approaching the End of the “End-of-Pipe” Era? Summary: Urban water management contributed substantially to solving urbanization related problems since more than hundred years. Future sustainability prospects of the established centralized approach are however increasingly debated. Recent developments of modular system concepts hold promise but would imply a radical restructuring of the sector. Understanding conditions for such fundamental transitions needs an integrated analysis of technological and social aspects. The key note will present a socio-technical system perspective on transitions, analyse historical cases, derive core mechanisms and success conditions and formulate implications for decision makers in utilities, policy and industry. 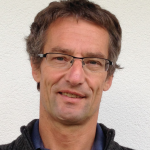 Biography: Bernhard Truffer is heading the Environmental Social Science research department at the Swiss Federal institute of Aquatic Science and Technology (Eawag). He also holds the chair on the “Geography of Transitions in Urban Infrastructures” at the Faculty of Geosciences at Utrecht University in the Netherlands. His research deals mostly with longer term transformation processes towards sustainability in industrial sectors. Urban Water Management is one of his key areas of expertise where he has conducted research in Europe, Australia, the US, China, South Africa and Kenya. Summary: It is commonplace, that models are fundamental both in science and technology. But it is equally a platitude that all models are wrong – or at least yield incorrect predictions. This fact has stirred heated discussions on the usefulness of models, examples being uncertainties in climate model predictions, the disastrous influence of economic risk prediction models in the recent financial crisis and the epic fail of the Google Flu Trend model. The cause of model failures is not limited to structural errors, but include likewise errors in observations, numerical errors and recently also hardware malfunction. For “black swan” events, not even the reliability of results can be quantified. 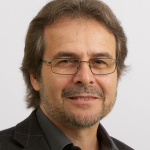 Biography: Wolfgang Rauch is professor for urban water management at the University Innsbruck. In his research, he has focused on many aspects of modeling the behavior of urban water infrastructure. Special emphasis has been given on the development and analysis of integrated drainage system models as well as on numerical aspects in model and software development. Wolfgang Rauch is an active member of the international community and served e.g. as chairman of the JCUD and of the IWA Program Committee. He is currently editor in chief of the journal WS&T. 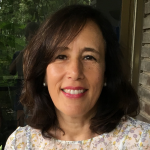 Biography: Gabriela Cembrano is researcher of the Spanish National Research Council (CSIC) and of the Technical University of Catalonia-BarcelonaTech (UPC) at the Institute of Robotics and Industrial Computing (IRI) in Barcelona, Spain. Since 2007, she is also a Scientific Advisor of CETaqua, a joint R+D Centre of the Suez group, CSIC and UPC. Her main research area is Control Engineering applied to water systems. She has taken part in numerous collaborative projects with the water and wastewater management industry, as well as in basic research and PhD supervision activities. Her current work focuses on the use of real-time monitoring and control to improve efficiency and environmental impact of urban water systems management. She is currently the CSIC leader in European project LIFE-EFFIDRAIN: Efficient Integrated Real-time Control in Urban Drainage and Wastewater Treatment plants for Environmental Protection and in the Spanish research grant DEOCS: Data-driven Monitoring, Supervision and Fault-tolerant Control of Cyber-Physical Systems. Summary: The sewer system provides and associated collection of human waste at the wastewater treatment plant provides a new opportunity to provide trends in population health. Systematic collection and analysis of wastewater has rapidly evolved to provide spatial and temporal information on consumption of illicit drugs in catchment populations. The concept is rapidly advancing to provide insights into population exposure and health. Here we will provide an overview of key areas of applications for the use of chemical and biological markers linked to exposure and health. 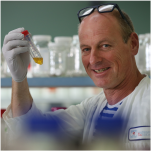 Biography: Jochen Mueller (Prof for Environ.Tox.) leads a team of researcher on innovative tools for monitoring exposure to chemicals. One of the most rewarding recent areas of interest concerns the monitoring of spatial and temporal trends using systematic sampling and analysis of wastewater. He currently leads a range of projects in wastewater based epidemiology with key focus on measuring exposure changes resulting from intervention and relating changes in exposure to health and/or environmental outcomes. Summary: Internet of things, big data, cloud computing, artificial intelligence and machine learning are key technology trends that are changing the way we can manage water systems. An increasing amount of data are becoming available for managing water systems. Key challenge is how to transform these data into operational decisions. Today, only 5-10% of data collected in a typical utility is utilised for actionable information. This presentation will discuss opportunities and challenges and give specific examples of current research and development that aims at making practical use of new tools and technologies to enable a digital transformation of water systems. 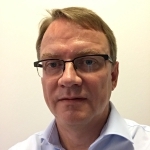 Biography: Henrik Madsen is Research & Development Manager at DHI. He is leading DHI’s research and development within water resources with a focus on emerging technologies for real-time forecasting and control of water systems. Main areas of research include data assimilation and uncertainty quantification methods in hydrological and hydrodynamic modelling, and optimisation models for water management. He is also appointed Adjunct Professor at the University of Copenhagen.